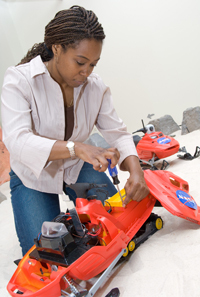 CRA-Women invites you to join us for a Virtual Undergraduate Town Hall on Monday November 30th at 8pm ET for an online webinar style discussion with Ayanna Howard, Professor and Linda J. and Mark C. Smith Chair in Bioengineering at Georgia Tech about designing healthcare robots for children with special needs. This is an opportunity to learn more about the opportunities in research and Graduate School, and ask Ayanna any questions you might have during the live Q&A session. After the webinar session, there will be a mentoring event “Finding and Making the Most of an Undergraduate Research Experience”, where you will be able to participate in an active and virtual mentor experience.